When you choose to attend a kids dentist, you want your child’s experience to be as pleasant as possible. At BridgeView Dental Group in Kodiak, AK, your little ones can enjoy sedation dentistry during their appointments and check ups, ensuring that they develop good oral care habits and don’t have have any negative associations with visiting the dentist office. Eliminate Negative Feelings: Usually, if a child starts off their life attending dentist appointments and they don’t like it, then they’ll probably hate it into their teenage years and adulthood. For their first few visits, Bridgeview Dental Group can complete sedation dentistry, creating a relaxing and comfortable atmosphere that promotes good dental health. Assuage Any Pain Or Discomfort: If your child is unfortunate enough to experience a cavity at a young age, then the dentist should do everything that they can to eliminate all possibilities for pain during their procedure. Sedation dentistry is the perfect alternative to painful drilling and filling applications. Keep Their Smiles Healthy & Clean: From an early age, it’s crucial that parents do everything they can to support their children’s oral development. 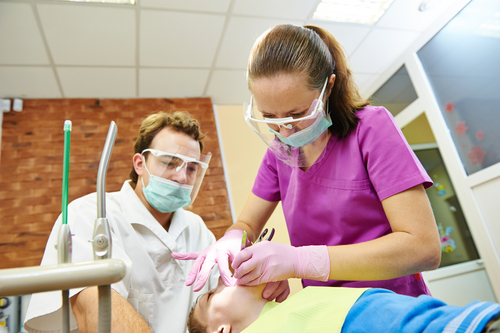 Sedation dentistry is a way to make it easier for you and for your family dentist. Ask your local dentist about sedation dentistry the next time you make an appointment. To learn more from BridgeView Dental Group, call (907) 486-3257 or visit them online today to read about their services.